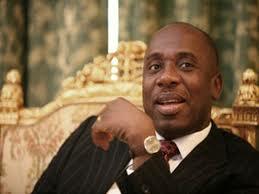 After weeks of horse trading and hours of arguments at the senate, the red chamber finally confirmed former governor of Rivers state Rotimi Amaechi as minister on Thursday. Seventeen other nominees including Adamu Adamu, Geoffrey Oyenma Aisha Abubakar, James Ocholi, Zainab Ahmed and Shittu Adebayo were also confirmed. This came after the Peoples Democratic Party (PDP) senators staged a walk out to protest the imminent confirmation of Ameachi who they argued shouldn’t be confirmed based on petition of corruption against him by the Port Harcourt based Integrity group. The PDP lawmakers mounted a stiff opposition against Ameachi insisting that the recommendation of the senate committee on ethics and privilege that his confirmation be shelved pending the determination of the suit in court. The All Progressive Congress (APC) senators mounted a fight back warning them of the provision of the senate rule which provides that a matter in court should not be debated on its floor. Subsequently, the PDP minority leader Godswill Akpabio led his members out of the red chambers. When the question by senate president Bukola Saraki whether Akpabio should be confirmed as minister was put to the senators, the response was a resounding aye, putting to rest the more than three weeks controversy that had trailed his nomination by President Muhammadu Buhari.